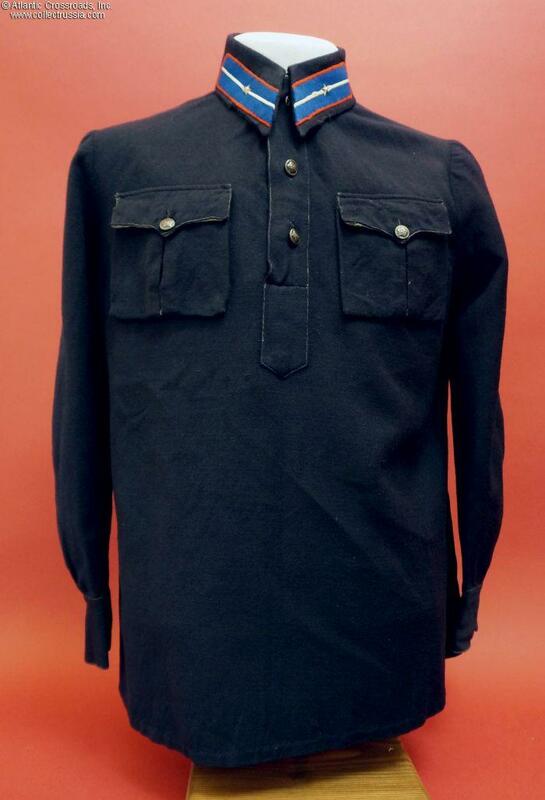 M 1935 Service Gimnasterka Tunic of an NKVD Police Sergeant, 1936-39. 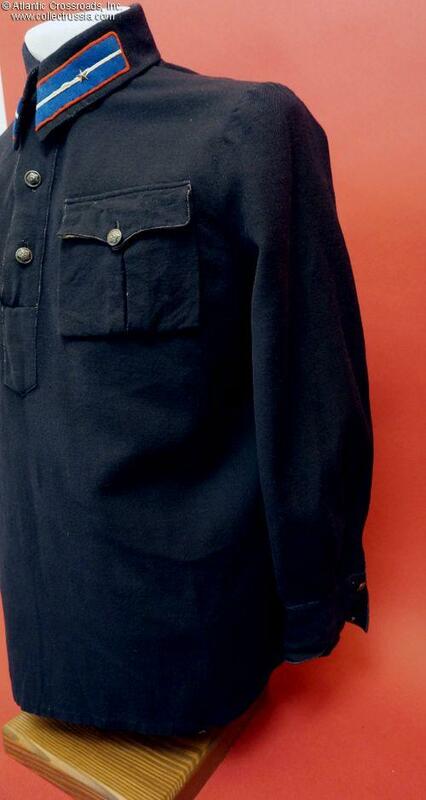 M 1935 Service Gimnasterka Tunic of an NKVD Police Sergeant, 1936-39. 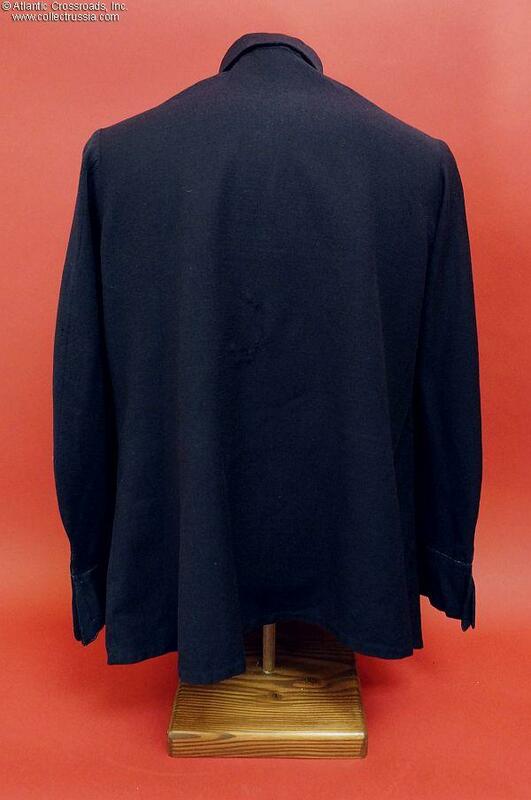 In dark blue "Trikot" wool. 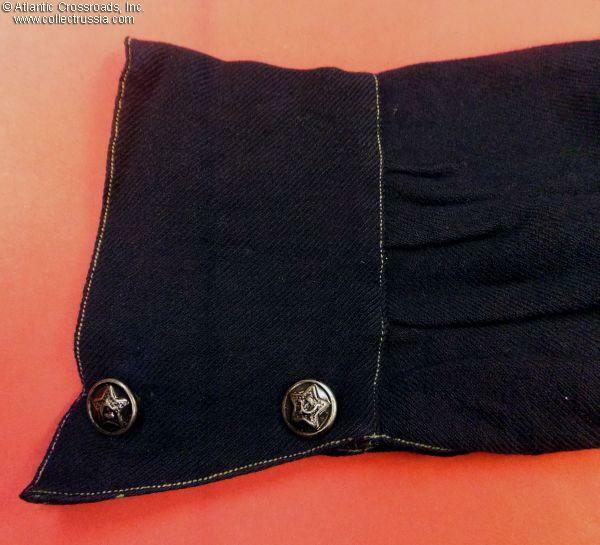 Unlined exterior breast pockets. Gray steel unmarked and undated buttons. 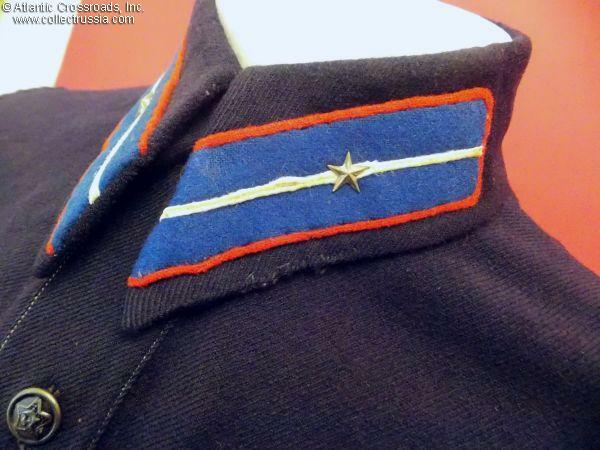 The collar tabs were factory applied with separately attached stars. 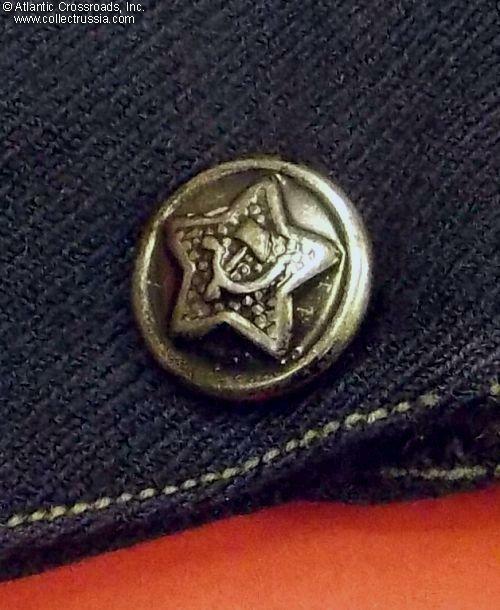 No visible stamps or other markings. 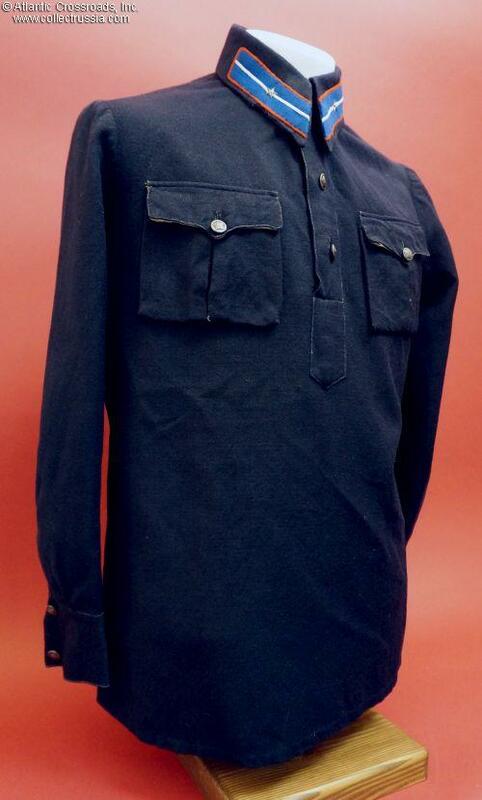 Size is about a 42" chest, with 23" sleeves. The collar measures about 13". 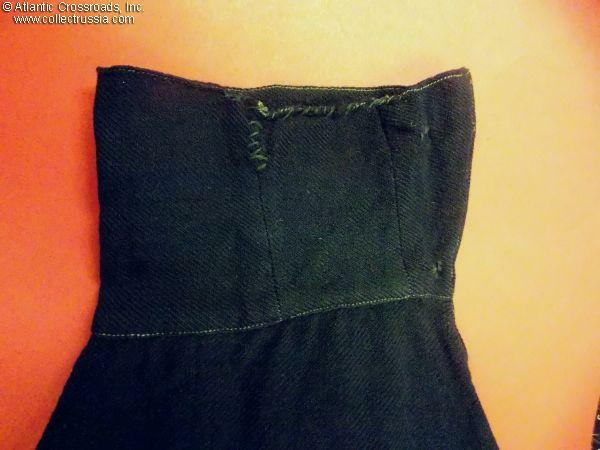 The back measures 27" from the base of the collar to the bottom edge of the skirt. Condition is very good. 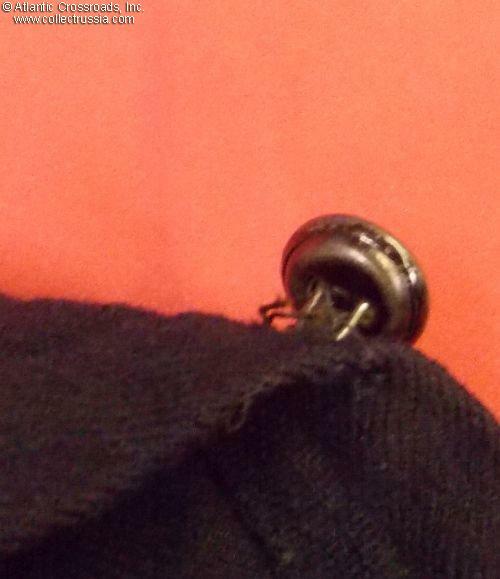 The color of the fabric is still vibrant, unfaded. 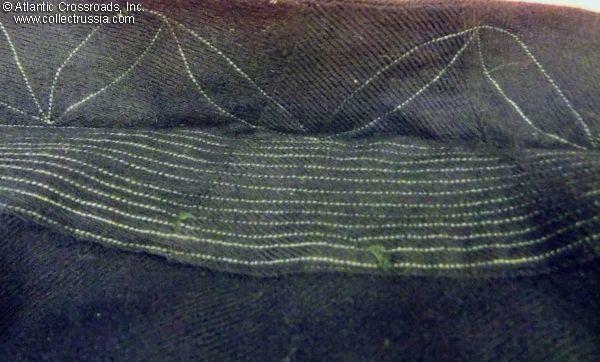 A lightly frayed area on inside of the left cuff has been carefully darned. 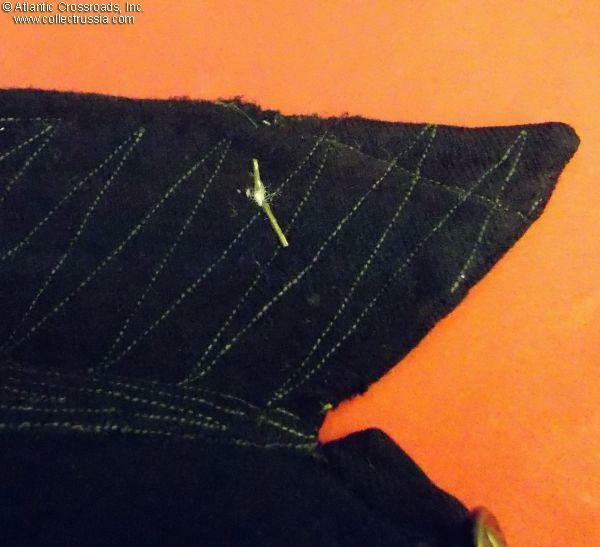 There is a small area of minor fraying on the outer edges of both collar points but the dark blue fabric renders them almost invisible. 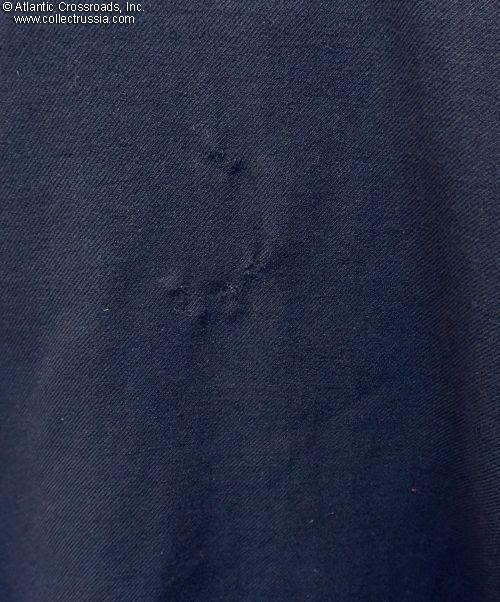 There is a small cut just under the lower edge of the left pocket that is completely unnoticeable from the front. 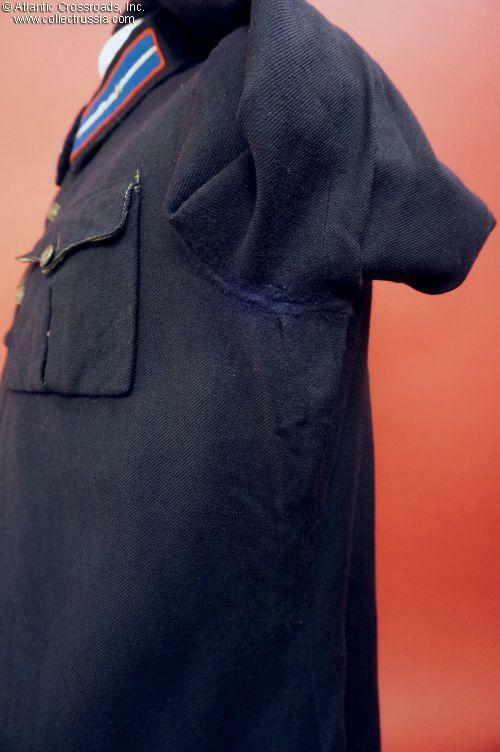 Both armpits show minor rubbing, none of which is visible unless the sleeves are held up for an inspection? 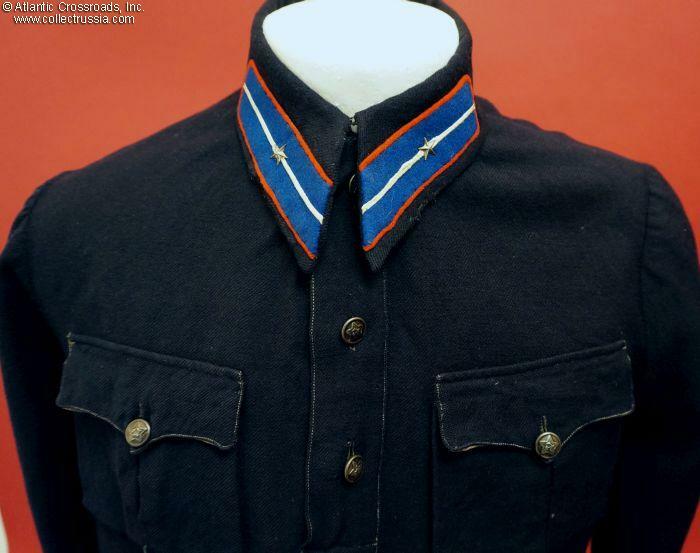 Few articles of pre-war Soviet uniform have survived to the present day, particularly in this fine condition. This gimnasterka will afford an advanced collector a unique opportunity to more completely illustrate the history of the police in the Soviet era.